Dar.Ra has been in the industry for a while with hits in the UK and Australia, signed to EMI,Festival and various dance labels over the years, remixing Frankie Goes to Hollywood, Tears 4 Fears, Savage Garden, and writing for Rachel Brown (Faithless, Groove Armada) plus having music on various Hollywood films like 'Snakes on Planes' films starring Hilary Duff on ABC TV, Match Of Day (BBC TV) and US Documentary City Of Hope. His first solo album Soul Hours was released in 2010 and made album of the week of Spain's Heart FM, as well as received support from BBC Radio, playing to over 1 million people on air within a live show. He also has a well received book out called 'Road Tales' which has been getting brilliant reviews and is based on people Dar.Ra met while being the road from the late 1990's to 2008. There is a follow up book titled 'The Night That Jimi Died' being released spring 2018. The new album titled 'Planet X' is a unique blend of Rock Energy and Soulful melodies crossing boundaries from those genres plus visiting the world of Reggae and Country and World Music soundscapes. IMP Your song 'Phenomenal ' has just been added to Follow Radio station! IMP Your song 'Heart Shape Pill' has just been added to Follow Radio station! IMP Your song 'Heart Shape Pill' has just been added to Hottest station! IMP Your song 'Heart Shape Pill' has just been added to Featured Songs station! 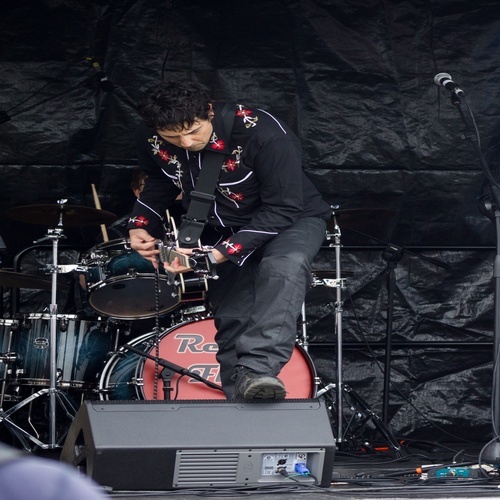 IMP Your song 'Heart Shape Pill' has just been added to Desperado Revue 2018 Contenders station! IMP Your song 'Heart Shape Pill' has just been added to Rock On Desperado station! IMP Your song 'Heart Shape Pill' has just been added to Desperado Mini Pack station!